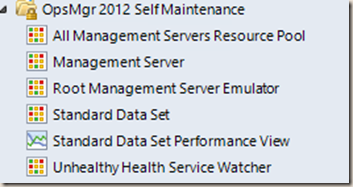 I have published the OpsMgr Self Maintenance Management Pack Version 1.0 on this blog few months ago. Over the last couple of month, I’ve been working on the version 2.0.0.0 of this MP during my spare time. A rule that configures failover management servers for Windows agents. 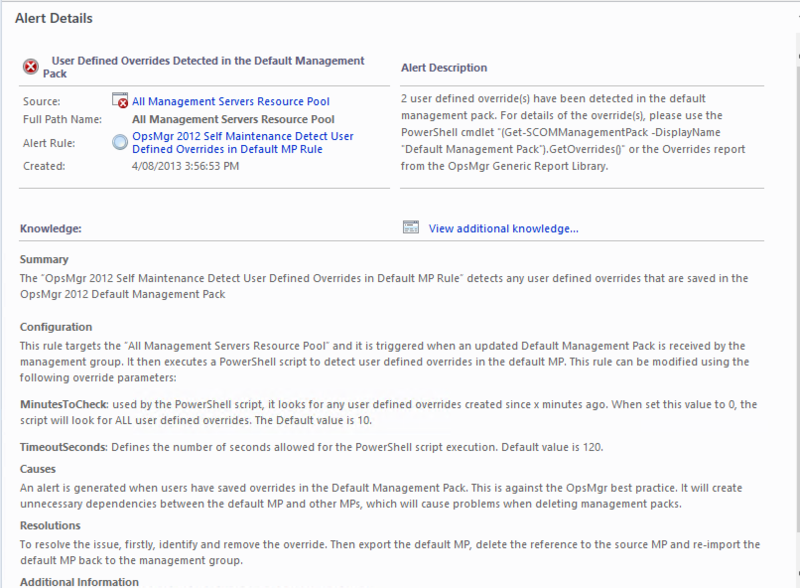 The Remove Disabled Discovery Objects rule in the OpsMgr 2012 version of the MP were configured incorrectly in version 1.0 and it was using the script designed for OpsMgr 2007 R2. The scripts used in the balancing agents rules (in both OpsMgr 2012 and OpsMgr 2007 versions) had a spelling mistake in one of the variables. Updated the Close Aged Rule Generated Alerts Rule with an additional configurable option. The original rule uses the TimeRaised property of the alert. It now can be configured to use LastModified date if desired. Performance View for the performance collection rule mentioned above for Data Warehouse Data sets. Due to time constrains and the age of OpsMgr 2007 R2, I have decided not to update the OpsMgr 2007 version of the MP. However, the bug in the balancing agent rule mentioned above has been fixed in the OpsMgr 2007 R2 version. Other than this bug fix, all of above mentioned changes have only been updated in the 2012 version. Since the Version 1.0 of the MP has been released, I have received many positive feedbacks. Some of the additions / changes came from suggestions from the community. Cameron Fuller mentioned this MP in his MVP Pro Speaker presentation. One thing Cameron mentioned was to add state views for various classes that agent tasks are targeting – to make it more user friendly for OpsMgr operators to run agent tasks. Ian Blyth emailed me and suggested to update the “Close Aged Rule Generated Alert Rule” to include an option for using LastModified date instead. Dan Kregor suggested me to create a view for “grey agents” – Hence Unhealthy Health Service Watchers state view. The PowerShell script from Michel’s post requires SQL Server module. I have removed such requirement in the script in this MP. The Data Source module from Michel’s post contains a condition detection member module to map property bag value to performance data. I have taken this condition detection module out of data source module so I can configure the “On-Demand Detection” for the monitor type. – Which is an addition to Michel’s monitor type module. 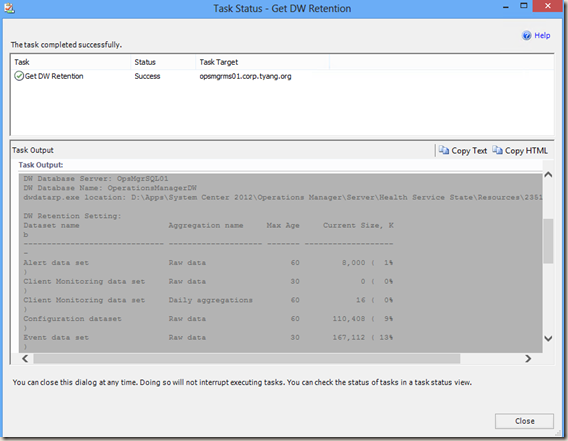 The “Get DW Retention” agent task simply calls the dwdatarp.exe. Dwdatarp.exe is embedded as a binary resource in the MP. therefore this version of the management pack comes with a .mpb (Management Pack Bundle) file. I have documented detailed configurations of all workflows in the documentation of this MP, including a list of all event log entries generated by scripts within this MP. 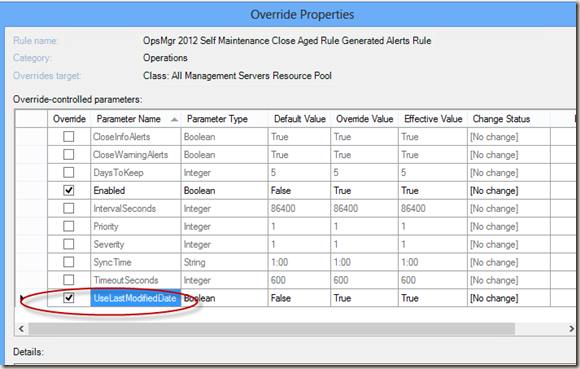 There is also a known issue when creating your own override MP in OpsMgr operations console. This issue and workaround is also documented in the documentation. 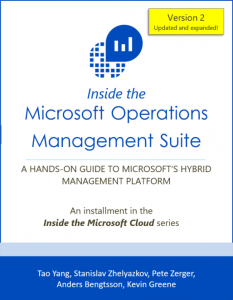 Please click HERE to download the Management Packs and the documentation. As always, please feel free to contact me if there are issues or suggestions. + CategoryInfo : NotSpecified: (EXCEPTION : Sys…_OM_MS_Action'. It also appears that the PDF documentation has not been updated? Thanks for letting me know. I’ve updated the zip file, it now includes version 2 of the PDF. please download again. 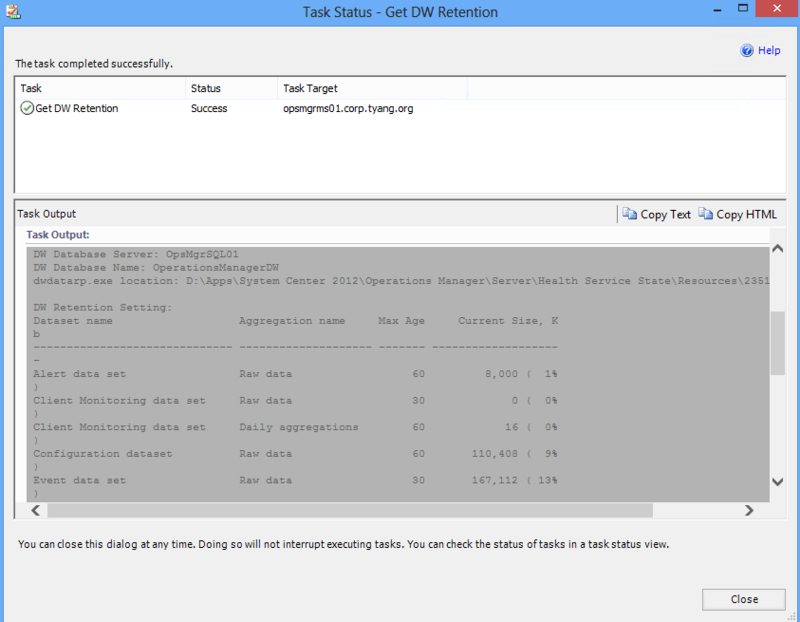 with regards to your SQL exception, does your SCOM management server default action account have access in your DW SQL database? System.Xml.Schema.XmlSchemaValidationException: The ‘Alias’ attribute is invalid – The value ‘2012’ is invalid according to its datatype ‘ManagementPackUniqueIdentifier’ – Name cannot begin with the ‘2’ character, hexadecimal value 0x32. —> System.Xml.XmlException: Name cannot begin with the ‘2’ character, hexadecimal value 0x32. In fact, I have this error message for all rules concerning scom 2012..
ok I just read the known issues in the pdf and this case is explained. Sorry for my previous comment. Cool features, thanks! Especially detecting overrides in the default MP can save a lot of headaches when upgrading in the future. 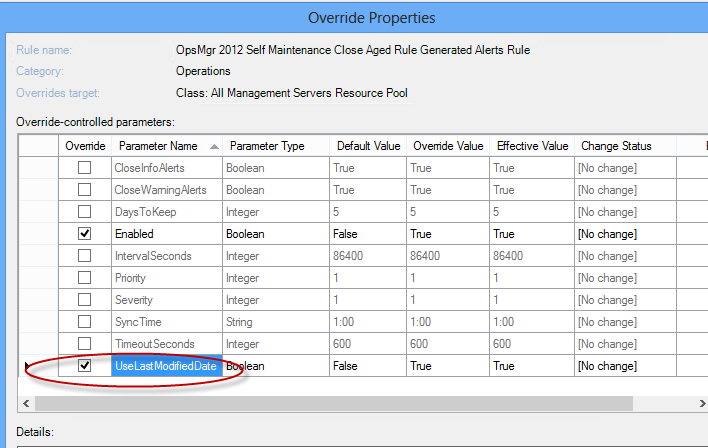 I just implement the management pack and activate the “OpsMgr 2012 Self Maintenance Balance Agents within Resource Pool Rule” and leave it running during a full day but I don’t see any change in the agents managed and no information alert or entry in the event viewer..So where can I see if the rule has running well or not. Are the agents “remote manageable”? 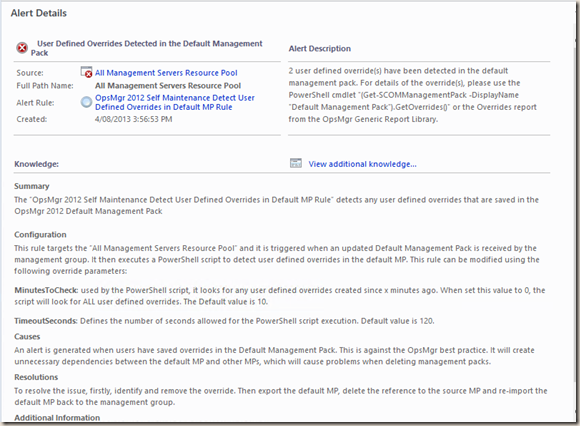 FYI for those not yet running SCOM 2012 SP1 – an issue occured for us with one of the rules that contained a PowerShell probe (OpsMgr 2012 Self Maintenance Management Servers in Maintenance Mode Monitor), which was causing non-stop errors occurring: “A monitoring host is unresponsive or has crashed. 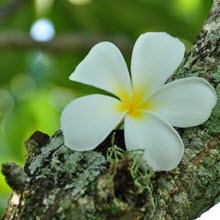 The status code for the host failure was 2164195371.”. This doesn’t happen in our SP1 environments, and I forgot that I had to disable that rule in release 1.0.0.1. The same issue occurred again for “OpsMgr.2012.Self.Maintenance.Check.Data.Warehouse.DB.Hourly.Aggregation.Count.3State.Monitor” so I had to disable this (and OpsMgr 2012 Self Maintenance Check Data Warehouse Database Daily Aggregation 3-State Monitor) and immediately the errors stopped. We have SP1 scheduled for the 14th (about time!) , and as mentioned and again the same for 2.0.0.0, we have no issues with this in our other SP1 environments, only the RTM one. Hope this gives others a heads up before enabling these rules/monitors in RTM. That RTM issue aside, thanks again for all your work on this Tao, the MP is really great thanks. Cool. Thanks Steve. Glad you’ve worked it out. I haven’t tested this MP on a RTM management group because I couldn’t get hold of one. I didn´t find the config Full Re-Sync Interval in the rule. How can I change this value? what if you change the intervalhours to a much shorter period? i.e. 6 or 12 hours? O Módulo Scheduler Data Source do Microsoft Operations Manager contém configuração inválida. My SQL server is 2012 with always on configured. the name SVCSCOM01,1433 is the virtual alwayson config. I’m not sure on this one. never tested dwdatarp.exe on a Always-on config. what if you download the dwdatarp.exe and manually run it on a management server? do you get the same error message?